Property 12: GREAT LOCATION ,FREE THURSDAY NIGHT FREE WIFI SERVING OUR CUSTOMERS FOR 28 YRS! Property 17: Cabin w/ Fire Pit & Decks - Walk to Lake Harmony! Property 24: Perfect Place to Get Away! Property 26: Cozy Pocono Getaway Close to Jack Frost and Big Boulder! Property 30: 4 bedroom, 2 bath rustic cabin right in the HEART of Split Rock. Property 31: 8 BEDROOMS!! Firepit! Hot tub! Ping Pong and more!! Historic Kempton Schoolhouse at the base of the Appalachian trail. Property 34: Historic Kempton Schoolhouse at the base of the Appalachian trail. Property 36: 50 Private Acres, Pond, WIFI, Secluded, Minutes To Slopes/Casino, Sleeps 30! 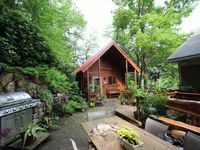 Property 42: Lake Harmony Home w/ Hot Tub, Deck & Forest Views! Property 43: Few miles from the slopes !! Book now ! My husband and I had originally planned to go skiing but the slopes were closed. We still had an amazing weekend in this comfy little cottage! We used the hot tub and grilled, just enjoyed the backyard. We also got to explore the nearby wine trails!